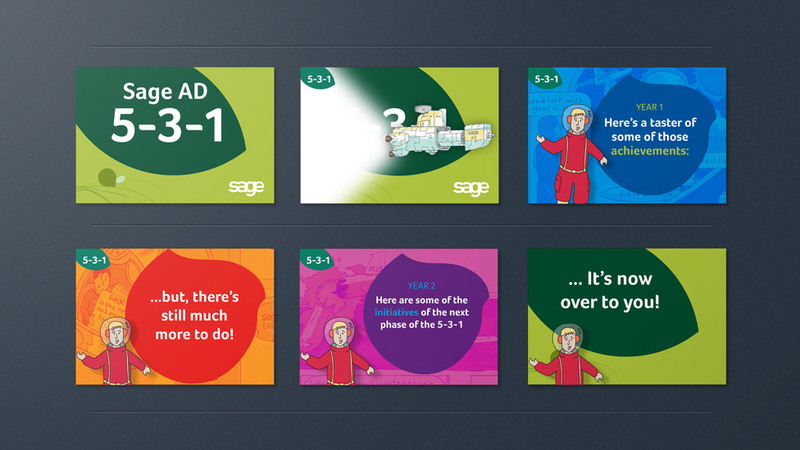 As part of the roll-out of Sage’s five-year business plan, we created an eye-catching suite of employee communications materials to grab the attention of employees and get them engaged with the new company programme. Our client wanted to create maximum impact with the launch of a new company plan. The launch had to create an unforgettable first impression amongst staff at all levels, and generate high levels of employee engagement. Wanting to strike a balance between high impact aimed at all employees and a more personal approach, we designed an extensive and diverse range of employee communications. The visual style we chose for these employee communications materials make them immediately accessible. For the personal materials, we designed a range of brochures, desktop calendars, and posters each one personalised throughout with the recipient’s name. Personalised Rubik’s Cube puzzles carrying the branding and messages added an injection of fun and an original, interactive and memorable way of communicating the new company plan. 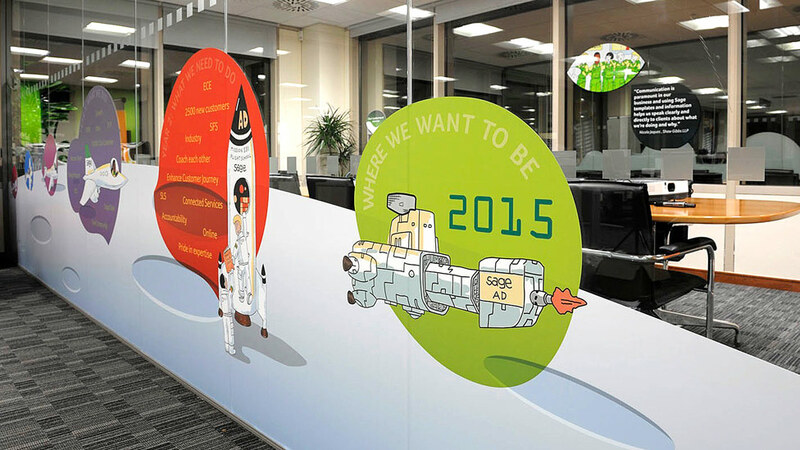 To add some drama and a real wow factor, we designed and produced a range of wall posters, window graphics, hanging banners and cardboard cut-outs to decorate the office space. 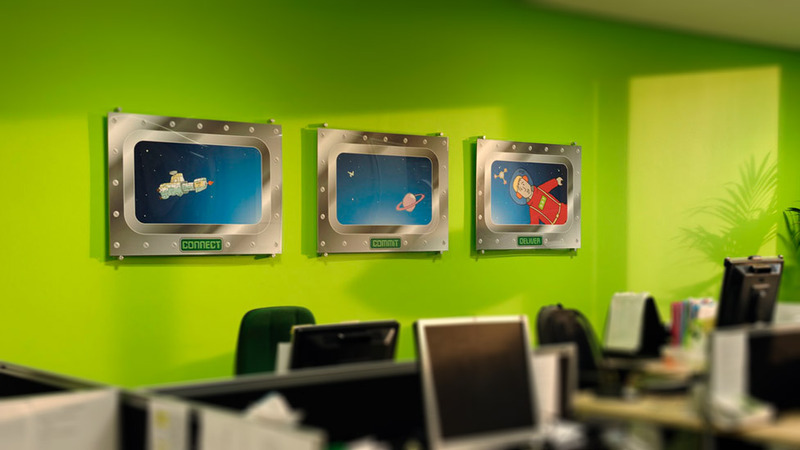 We also produced a short animated presentation to play on the wall-mounted screens and, using the services of a theatrical model maker, we designed and produced a set of giant branded cubes which could be stacked around the offices as sculptures, or used as informal branded stools in the coffee areas. To give the launch maximum impact, we waited until the last employee had left the office on Friday night. We then moved in with an army of fitters, and working through the weekend and into the small hours we decorated five floors across two office blocks. office space and their very own suite of personalised materials.